I got a much needed pedicure after work yesterday. I met my friend at our usual spot and relaxed in the massaging chair. It was heavenly! The lady massage my legs and my feet for a good 15 minutes or more. It felt sooo good. I told her that I’d run that day and I think she spent extra time on my legs. I literally melted into the chair. 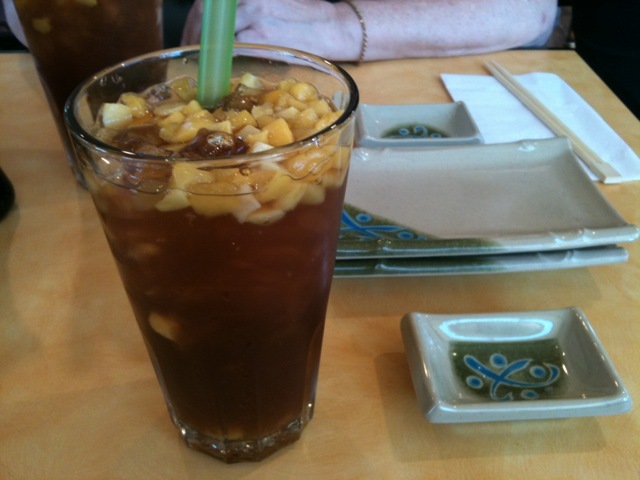 After the pedicures, my friend and I went to Mio Sushi. A new Mio opened up in Sellwood (which is awesome because it’s right by my house!). The place was packed but we got seats quickly. I ordered a peach and mango iced tea. It was more like a dessert than a drink! There were chunks of sweet mango in the tea. It was amazing (and I think my new favorite thing). 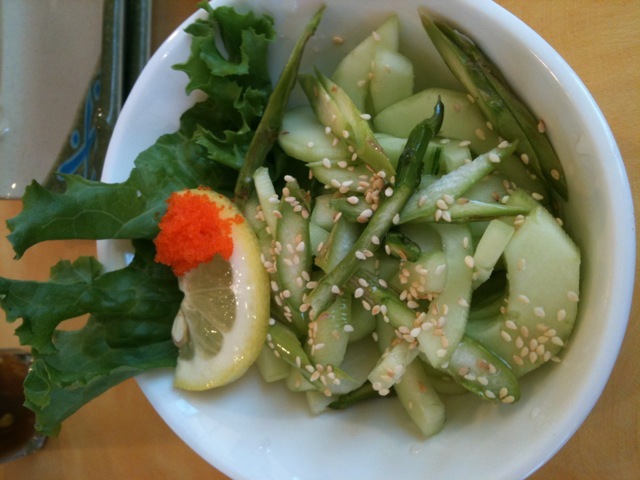 I ordered a cucumber and asparagus salad before the sushi came. I was hungry all day yesterday. 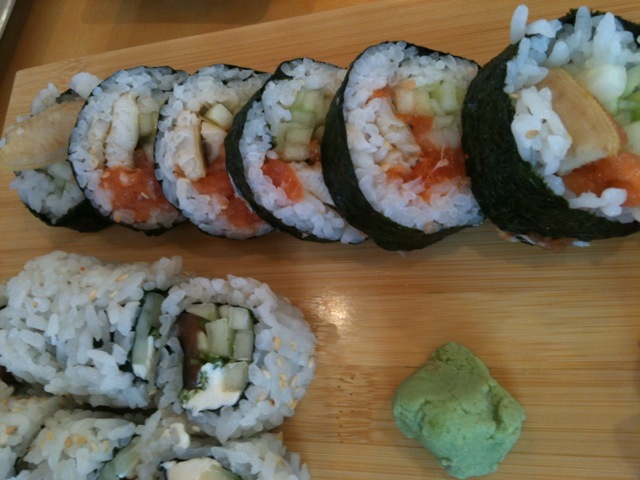 My friend doesn’t eat meat or raw fish, so she chose a few vegetarian rolls. 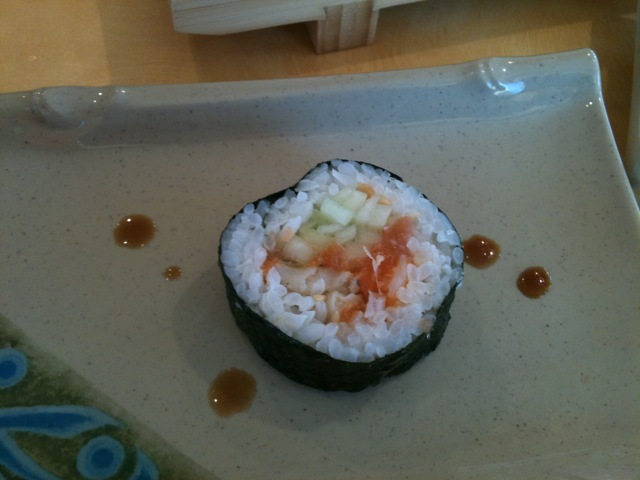 I ordered a Philly Roll and a Dragon Roll (it had spicy tuna, cucumber and I think eel). 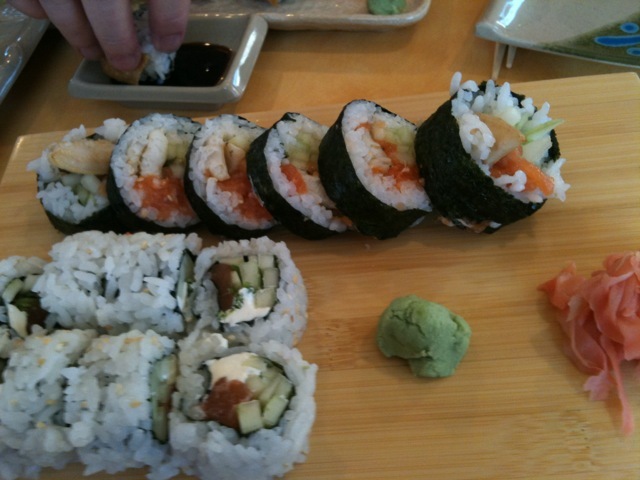 Usually when I get sushi with Michael or my friend Robyn, we share two or three different rolls. I decided that I can only eat about one and a half rolls by myself. The Philly Roll is by far my favorite. I have no idea why, but anything with cream cheese in it–I’ll eat. I was STUFFED by the time we were done eating. NUDGE. NUDGE. 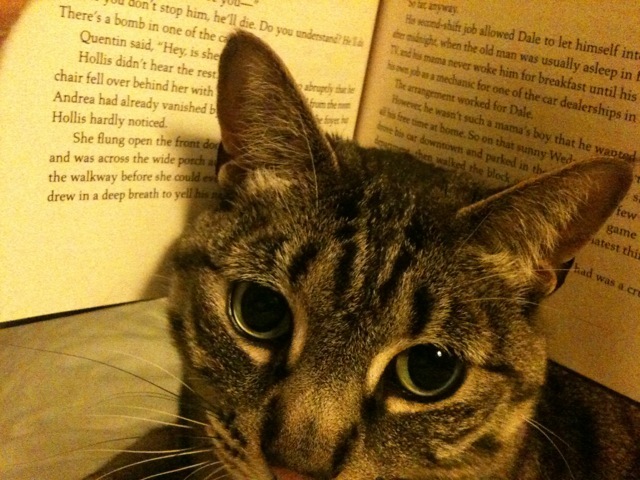 Fat Kitty decided I wasn’t going to read. 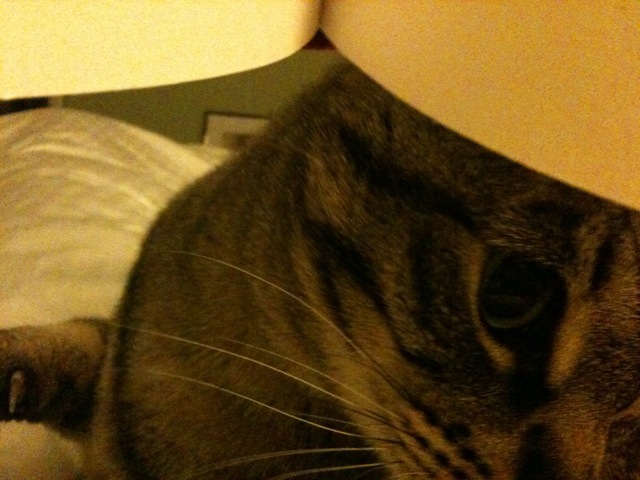 Instead, I was supposed to pay attention to him. I woke up this morning with SORE LEGS! Ugh. I haven’t felt this sore in awhile. I have no idea why–yesterday’s run wasn’t all that different from what it usually is. The consensus of my readers regarding Jello Legs was low blood sugar/not enough food before running. When I run at lunch, I usually eat a banana 45 minutes-1 hours before I run. Yesterday I had a Chobani Greek yogurt. So I think I will go back to the tried and true banana. And it’s really hitting the spot after a long, exhausting week! QUESTION: Do you get pedicures on a regular basis? What’s your favorite sushi roll? I love getting pedicures and try to do it every 2-3 weeks but sometimes its a lot longer between. My toes always turn out terrible if I do them myself, plus its a nice treat. 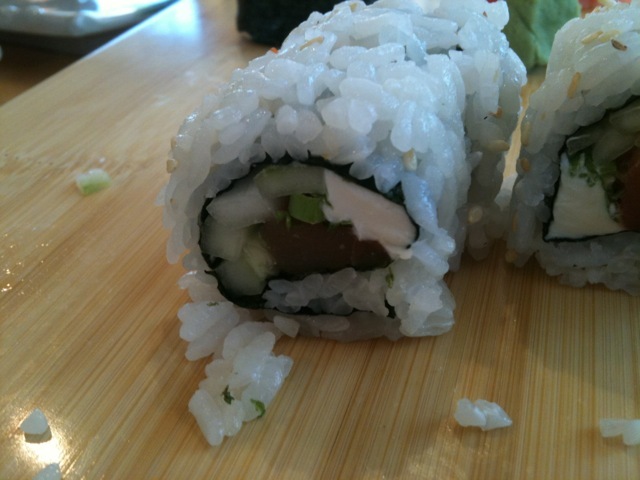 My favorite sushi rolls are spicy tuna and eel avocado. I could eat ANY kind of sushi though because I love it all. I wish I could afford more regular pedicures! They are a nice treat. I prob get a pedicure once every 1-2 months! The massage is my favorite part. ok, your food looks amazing and all, but i am SO JEALOUS of the massage and pedi! 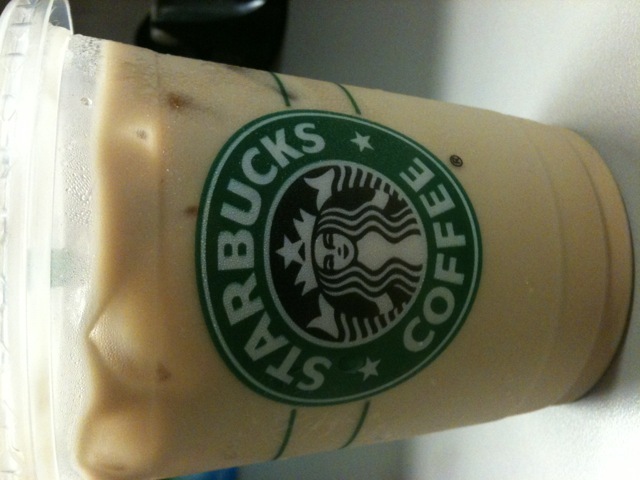 it has really been way way WAY too long since i had one! It had been too long for me, too. My feet were in bad shape! I just got a pedi, and basically melted in the chair. The guy spent so much time rubbing my feet and legs…LOOOVE it! I only treat myself to a pedi once every 2 months or so, but its’ totally worth it!